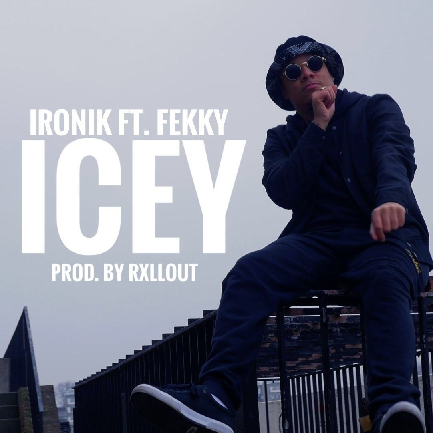 As one of the most important cross generational/cross genre artists that originally put grime on the map globally, IRONIK releases his latest record ‘Icey’, featuring Rap heavyweight, Fekky. A grime and trap hybrid, IRONIK presents admirable confidence from his years of experience that definitely translates through his latest single and the body of work it is taken from. Featuring Fekky, who has previously collaborated with the likes of Dizzee Rascal, Skepta, Ghetts, Chip, Giggs and Shakka, the track is braggadocious and lyrically the hardest to be taken from the album. With one of the most talked about returns of 2017 ‘Truth Be Told’ has received impressive recognition with over 200k+ album streams and making it on to BBC Radio 1, 1Xtra, Kiss FM and Capital networks, whilst PAPER Mag, The Hype Magazine, GRM Daily and Link Up TV have all supported his return online. The support adds to his lengthy list of previous achievements that include a number 5 official chart position, a top 5 single, one top 10 single, a top 10 album and over a million record sales.